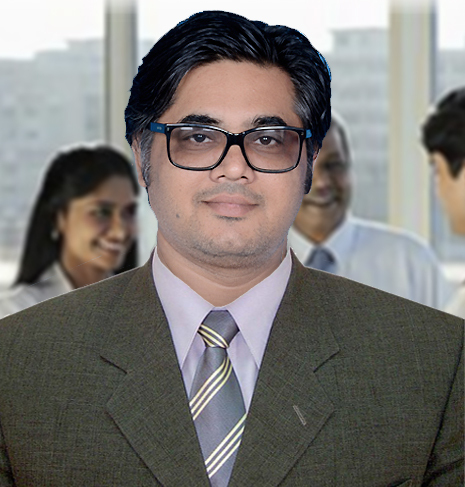 Sanjay Rajpurohit is an astute Vastushastri and also holds a MBA marketing degree. After completing his MBA, he joined his family business and is successfully spearheading the business for the last 9 years. Being a knowledge seeker he continued to dive deeper into understanding home interiors. During this stint he increased his liking for Vastushastra. Being a methodical man, he didn’t limit himself to just read the online Gyan on Vastushastra. He moved a step ahead and went for a full time course of Vedic Vastu. Having successfully completed the course in 2013, he currently is a certified Vedic Vastushastri from the Institute of Vedic Vastushastra. For All your Vastu Needs!! We provide consultancy for residence, office, shops, factories, landscapes, colleges, hospitals, On-Site Vatsu consultation and evaluation of the property, On Layout through email and personal meetings at our office. Vastu Shashtra remedies on conventional and modern interiors and structures. Remedies based on Vedic Vastu principals and New-Age developments. We provide education and training in various aspects of Vastu Shastra. Professional Vastu courses with certificates. In-depth know-how of Vastu Yantras and Vastu principals. We provide a total solution, our activities cover interior design projects of residential and commercial complexes, Corporate offices, institutional projects, hospital projects and health resorts. the firm is proficiently equipped to handle jobs of various types and magnitude. @republic Thats the point , exactly !!! Showing loyalty to the crrupt masters . Copyrights © 2017 Sanjay Rajpurohit All Rights Reserved.